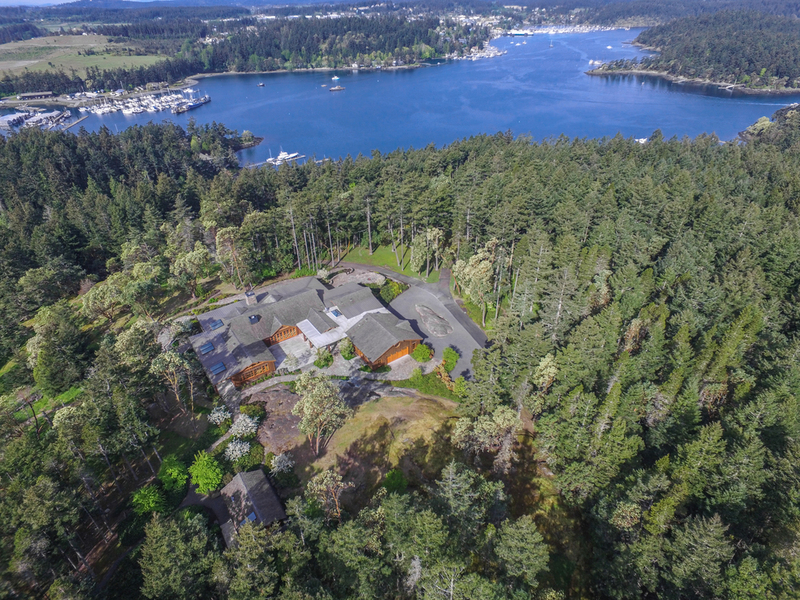 Discover this unparalleled land portfolio of 38.72 fenced acres in the famed San Juan Island archipelago - the gateway to Pacific Northwest waterways. Enjoy a sheltered bay with a 360-foot deep water dock for a large yacht and seaplane. High above the manicured pasture, atop a rocky hill is the 11,686-SF main residence of craftsmanship quality and self-sustaining for months on end. Contemporary architecture blends interior and exterior living spaces, designed around entertaining while preserving an owner’s pursuit of privacy.